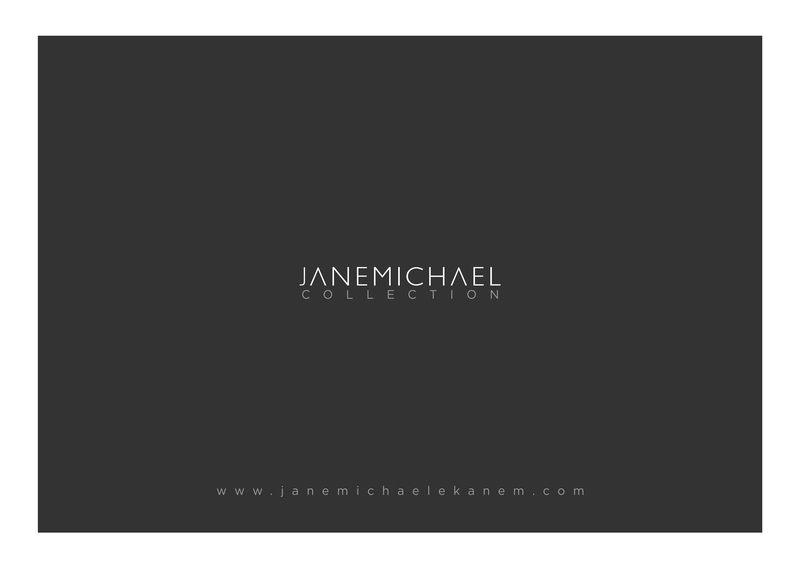 For Jane Michael Ekanem, her expertise and professionalism is no gainsaying. 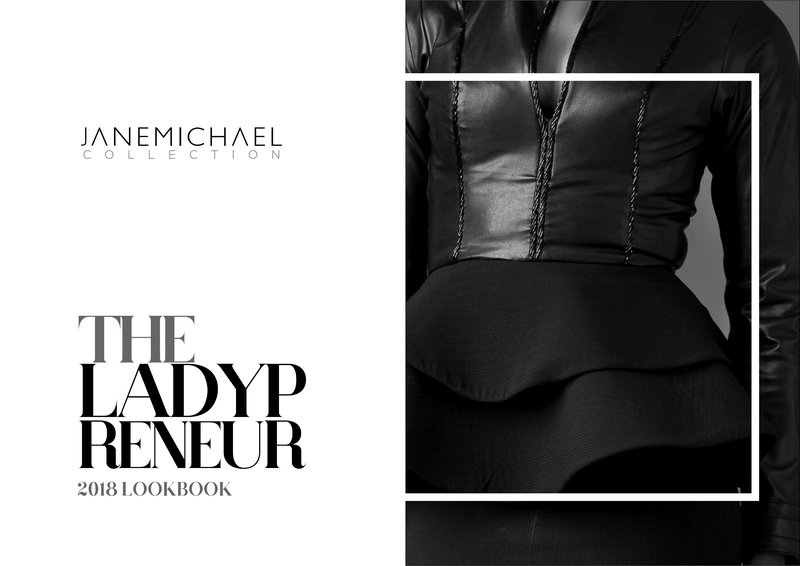 She has, over time, built a strong reputation as a fashion entrepreneur, a stylist and now a designer. 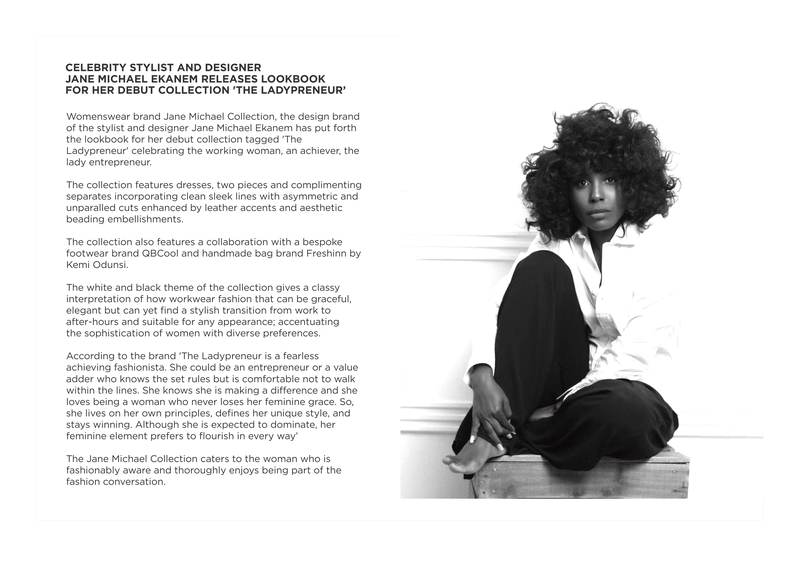 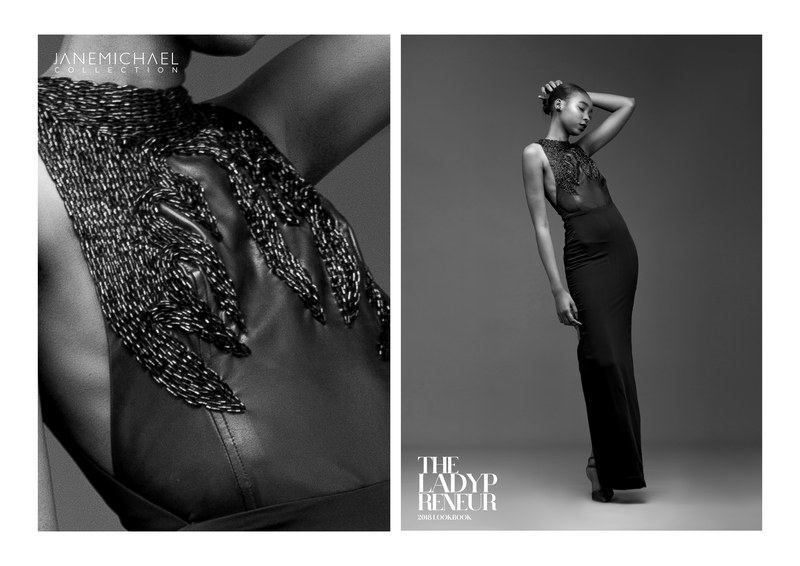 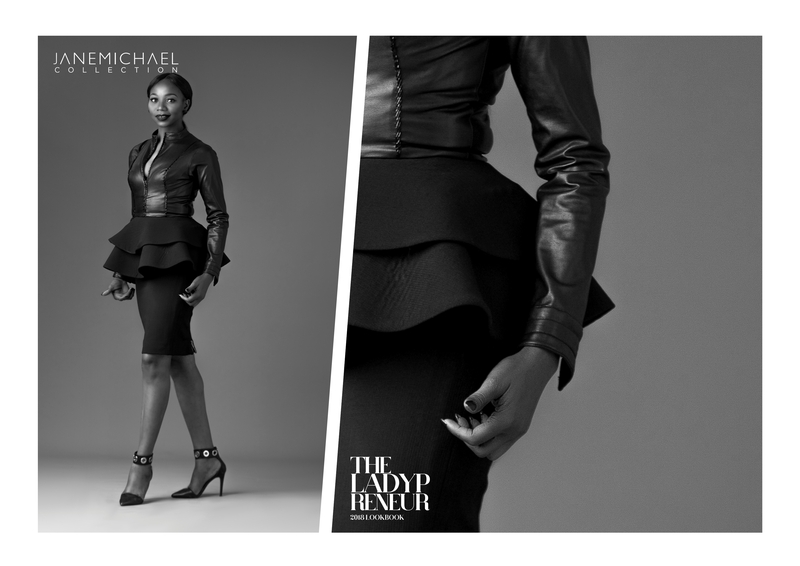 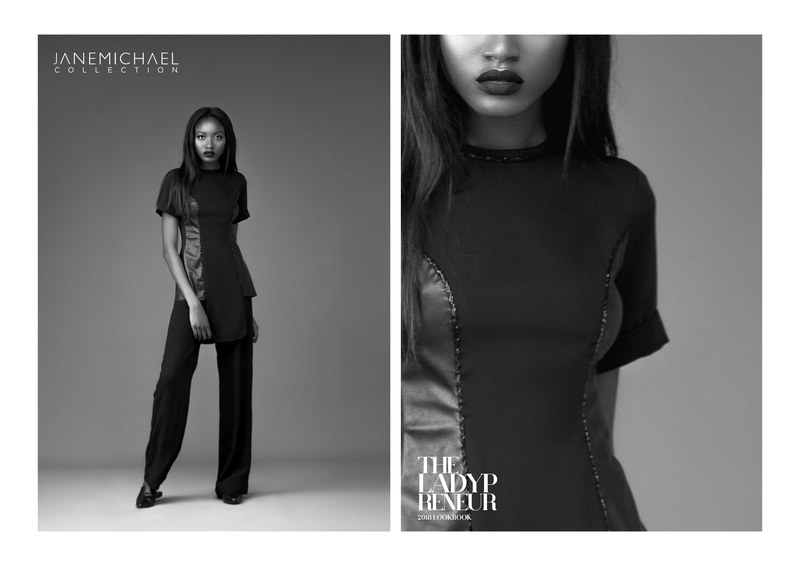 Now the creative director of eponymous label, The Jane Michael Collection, having worked her way around the fashion industry in diverse aspects – from styling a wide range of celebrities to styling entire videos and casts of movies and competitions such as Project Fame West Africa- Jane is well on her way to conquering the design world. 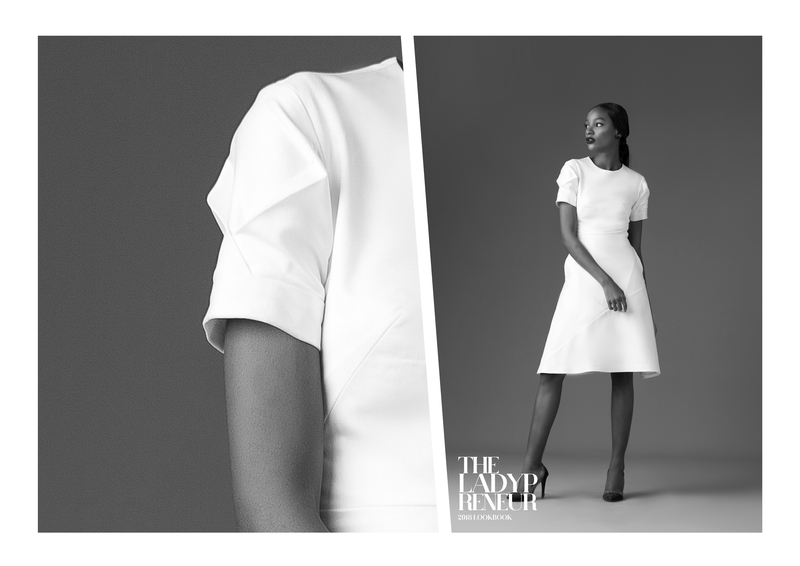 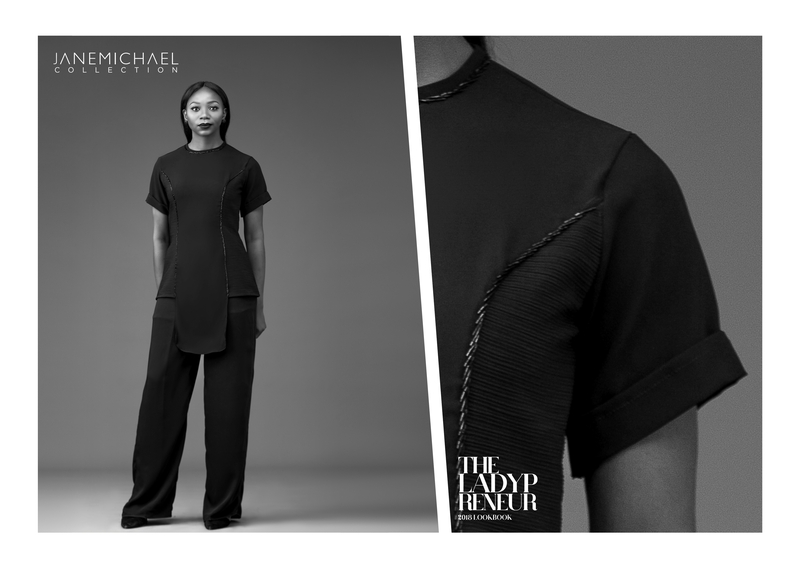 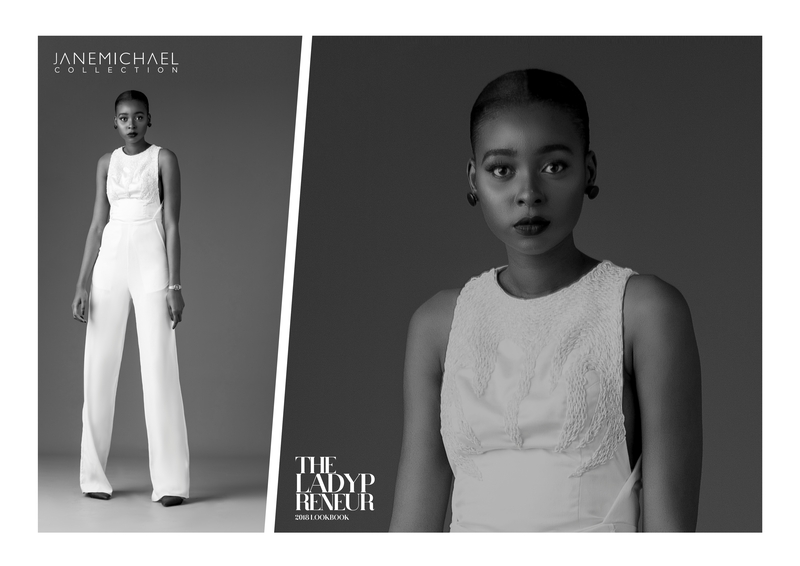 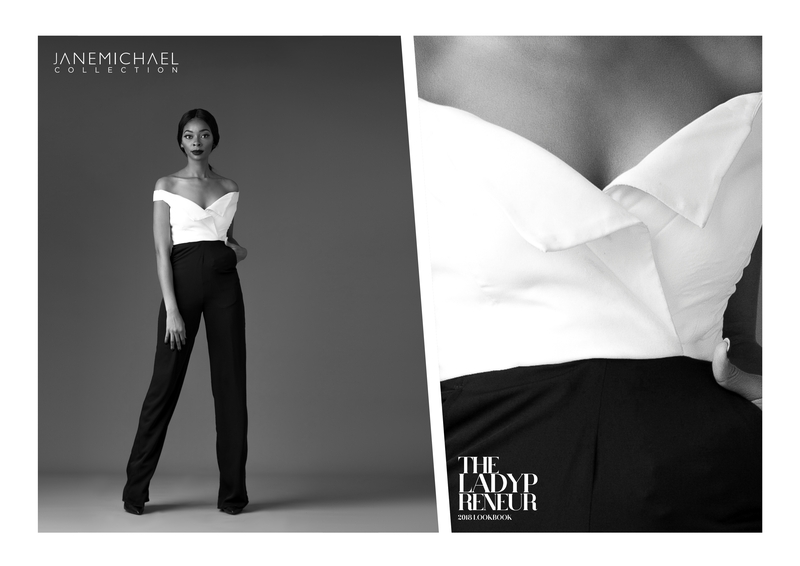 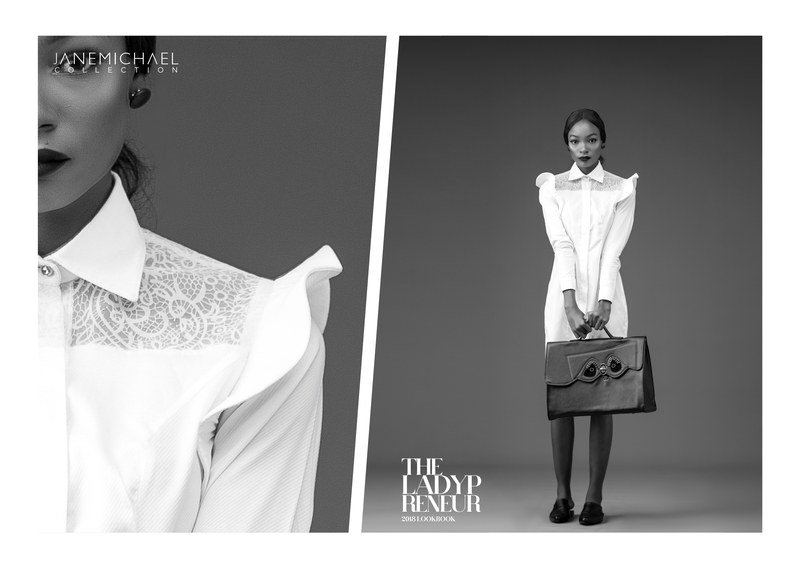 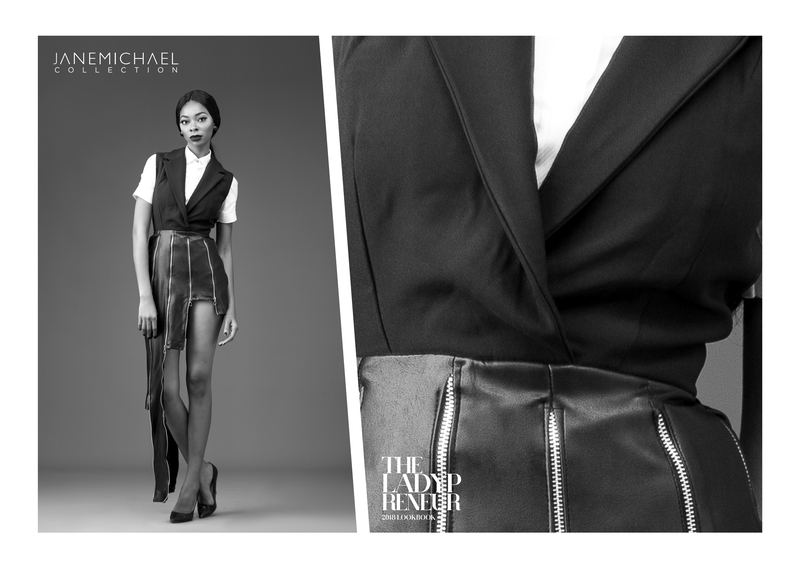 With her already growing clientele of customers which she clothes with the best of the Jane Michael Collection, the stylist turned designer is taking it a step further with her Debut Ready to Wear collection dubbed the LadyPrenuer. 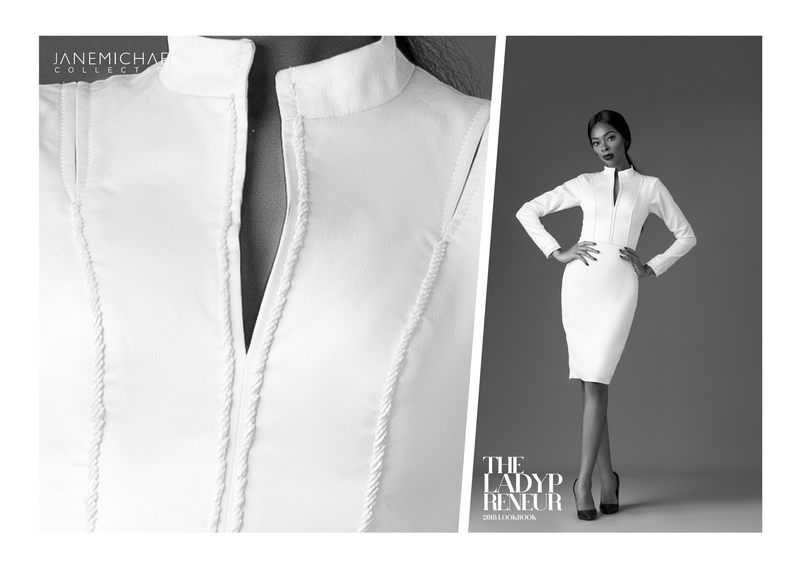 The collection features dresses, two-piece clothing, and complementing separates incorporating clean sleek lines with asymmetric and unparalleled cuts enhanced by leather accents and aesthetic beading embellishments. 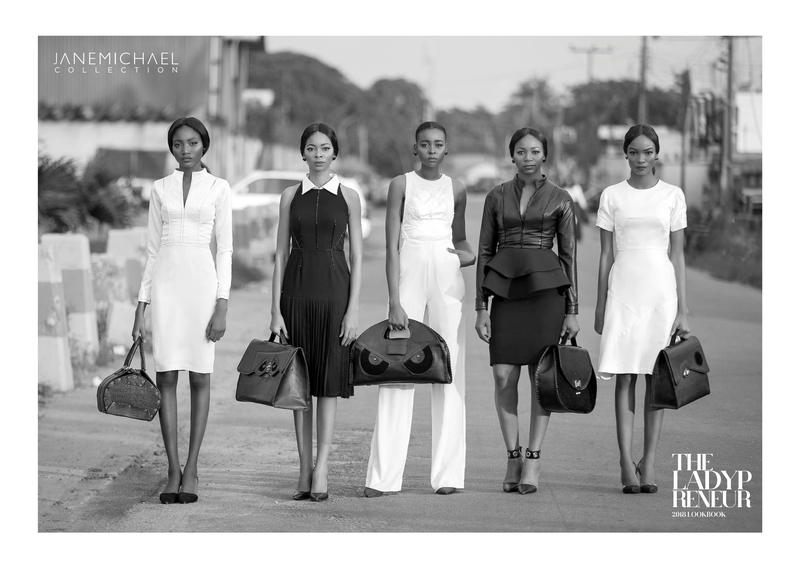 The collection also features a collaboration with bespoke footwear brand QBCool and handmade bag brand Freshinn by Kemi Odunsi. 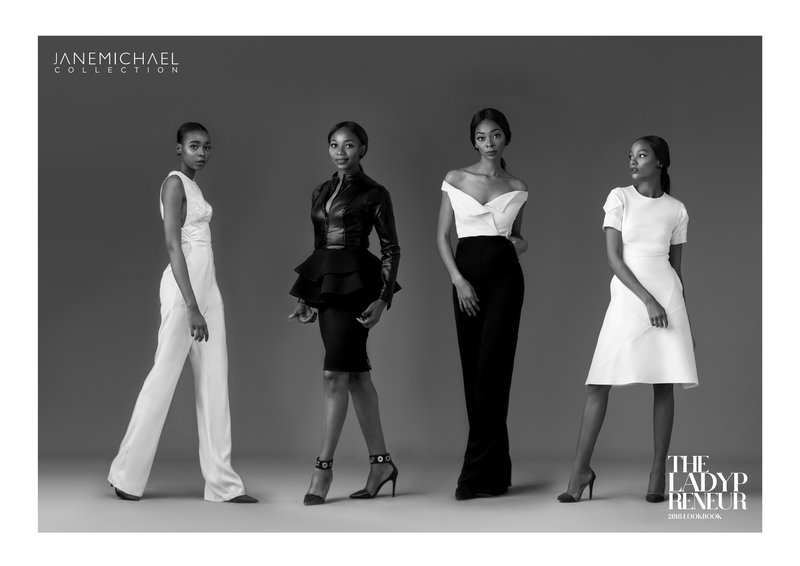 The black and white theme of the collection gives a classy interpretation of how work wear fashion can be graceful, elegant but yet find a stylish transition from work to after-hours and suitable for any appearance; accentuating the sophistication of women with diverse preferences. 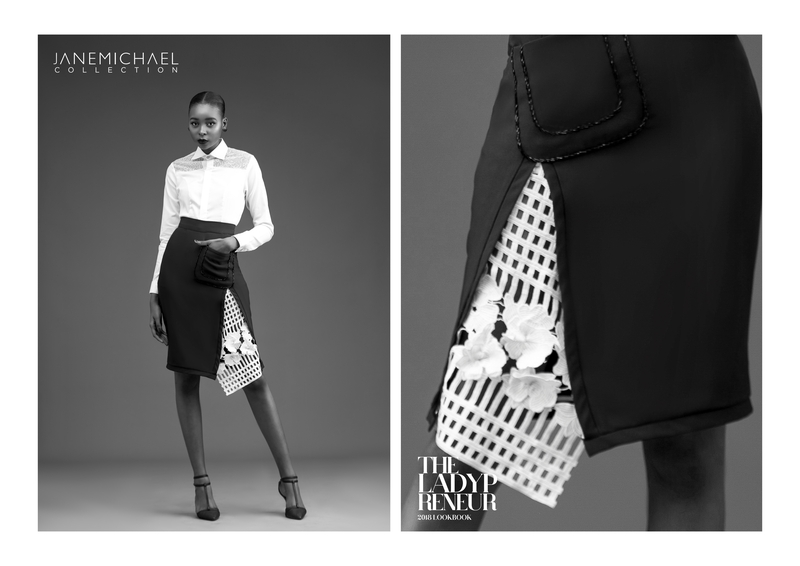 Ankara #435: Going Wild In Jackets With Maisha Abdul!